Just as relaxed as the water are the people that lounge about Tarpon Point Marina. It’s a beautiful 75-degree day: a few lonely clouds sprinkled throughout the sky with full Southwest Florida sun. A sunhat-clad woman reclines with an iced tea in her hand, and a barefoot boater runs a hose along his vessel’s exterior. A family of four sits, legs dangling, off the edge of the pier. The occasional shorebird swoops in and perches on a dock post. And a fisherman casts a line from the dock, patiently awaiting a bite. This is life at Tarpon Point, a luxurious Cape Coral community. Boaters love Tarpon Point Marina for its tastefully designed harbor, scenic waterways and relaxed atmosphere. With 200 slips for boats up to 75 feet, plenty of seasoned boaters benefit from the amenities at Tarpon. Located at marker 92, the marina sits minutes from a beautiful nature preserve and, what’s more, it provides easy access to the Gulf of Mexico. Tarpon Landings, a luxurious waterfront community, consists of three 14-story buildings. The spacious condominium homes sit just moments from the marina and popular shops and eateries. 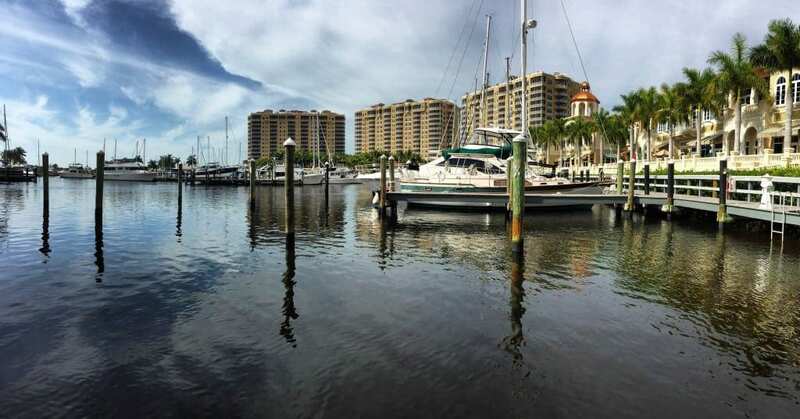 Residents say living at Tarpon Landing is like living in a permanent resort. With the community’s state-of-the-art fitness center and a private, tranquil swimming pool, every day is a vacation. As you can see, Tarpon is a boater’s paradise. Cruise through the mangrove estuaries or set out for the Gulf. Either way, you’re bound to see some Southwest Florida wildlife. And if you don’t own a boat, no problem. The marina offers sunset, shelling and dolphin tours along with kayak and paddleboard rentals. And fishers benefit from Tarpon just as much as boaters do. Some popular catches include grouper, redfish, snapper, trout and – you guessed it – tarpon. Do you like what you’re hearing? Tarpon Point Marina is even more impressive in real life. To take a tour of this charming Cape Coral community, consults the locals. Dave and Brenda of SageRealtor Group know and love Cape Coral. To learn more about Tarpon and other Southwest Florida areas, contact Dave and Brenda directly at 239-896-8549. 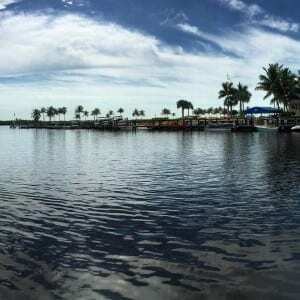 Click here to browse current Tarpon Point Marina listings in Cape Coral.